This comprehensive and exciting course will teach you everything that you need to know about the power of crystals and how you can go on to use them. From here the Crystal Healing Course continues to teach students how crystals grow and the systems, shapes, and formations that they are made up of. Students start to explore the benefits of crystal healing and how the colour of a crystals can alter their healing properties. The third module is all about how to treat your crystals. Students are shown techniques for clearing and cleansing stones, how to activate and dedicate them, and methods for attunement, programming them and giving them intent. By the fifth module, students will have a good understanding of crystals, and so the more common stones, gemstones, and crystals used in healing, are introduced. The healing attributes, colours, meanings, associated properties, and correspondences to other disciplines of each are discussed. Though you may have not heard the terminology, you will have likely seen a laser wand before. The Crystal Healing Course’s ninth module introduces laser wands and how they are used in healing. Also in this module, students will be taught about quartz healing and balancing techniques, and the neurological balance method. As previously mentioned, crystals are used in a number of therapies. With this in mind Module 13 gives students a practical guide on how to mediate using crystals, and discusses crystal journeying, in relation to astral travel. Another concept that you may have heard about, are the concerns of the meridians of the body. The fifteenth module gives students a basic overview about this and the principle of Kundalini in crystal work, in relation to the evolution of the spirit. 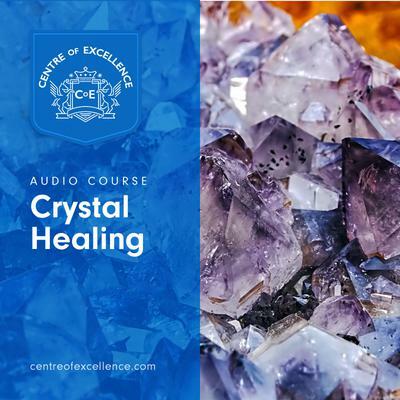 Also, if you are considering working as a crystal healer, this module is where you learn about considerations you should make when preparing your healing space and it also offers tips on keeping client records.